Changes may have already been implemented to prevent kids from making unauthorized in-app purchases on apps from Google Play, but that doesn’t mean the company is off the hook for the huge bills some families faced. Google has agreed to provide full refunds – with a minimum payment of $19 million – to consumers who were charged for kids’ purchases without authorization of the account holder. The Federal Trade Commission announced the settlement Thursday resolving allegations that Google unfairly billed consumers millions of dollars in unauthorized charges that were incurred by children using mobile apps downloaded from the Google Play app store. According to the FTC complaint [PDF], since 2011 Google violated the Federal Trade Commission Act’s prohibition on “unfair” commercial practices by billing consumers for charges by children made within kids’ apps downloaded from the Google Play store. In-app charges are a component of many apps available from Google Play and can range from 99 cents to $200. Many apps used by children include invitations to accumulate virtual items that help them advance in the game. The FTC complaint notes that the lines between virtual money purchases and real money purchases can be blurred. The FTC’s complaint alleges that Google billed consumers for many such charges by children without obtaining account holders’ authorization, leaving consumers holding bills for hundreds of dollars. While Google Play changed purchasing so kids can’t go on in-game shopping sprees earlier this year, the FTC alleges that for several years the company did nothing. When Google introduced the in-app charges to Google Play in 2011, the company billed for such charges without any password requirement or other method to obtain account holder authorization. In mid- to late-2012, the FTC says Google began presenting a pop-up box that asked for the account holder’s password before billing in-app charges. However the window did not contain notification of the charge. Additionally, the company did not inform account holders that by keying in their password they would open a 30-minute window in which purchases could be made without reentering the password; meaning children could still rack up significant charges. Google currently faces a class action lawsuit related to the no-password needed window of time. A woman in New York filed the suit alleging that her son ran up $65.95 in in-app purchases while playing the game Marvel Run Jump Smash on her Samsung Galaxy Tab 2 tablet. Under the settlement with the FTC, Google must provide full refunds of unauthorized in-app charges incurred by children and to modify its billing practices to obtain express, informed connect from consumers before billing them for in-app charges. As for the refund amount, Edith Ramirez, chairwoman for the FTC, said during a news conference on the case that the $19 million is a minimum amount that Google must refund and was set based on the facts of the case. Google must contact all consumers who placed an in-app charge to inform them of the refund process for unauthorized in-app charges by children within 15 days of the FTC order being finalized. If Google issues less than the $19 million minimum in refunds to consumers after 12 months, the company must remit the balance to the FTC for use in providing additional remedies to consumers or for return to the U.S. Treasury. 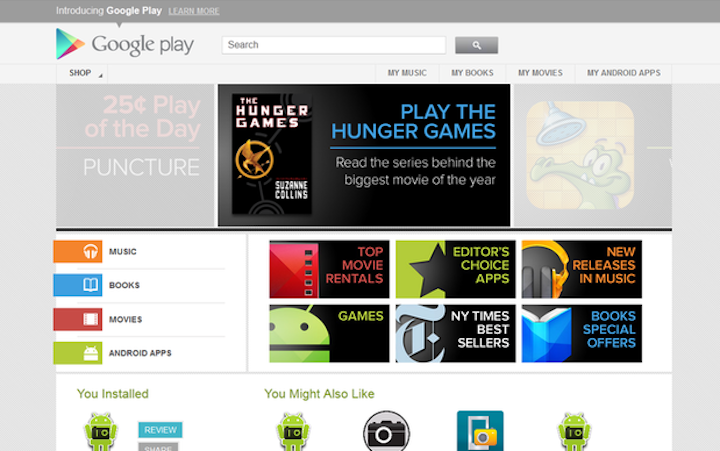 Google is just the latest company taken to task over in-app purchases. In June 2013, Apple settled a class-action lawsuit over in-app purchases made by children on their parents’ phones and tablets. Then in January, the company reached a deal with the Federal Trade Commission in which it would issue at least $32.5 million in refunds to consumers. In July, the FTC sued Amazon in federal court related to an investigation into the e-tailer’s in-app purchase policy that essentially allows children to make unauthorized purchases.